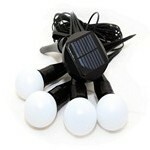 You can now avail of seriously discounted prices on ten high quality solar lighting products. 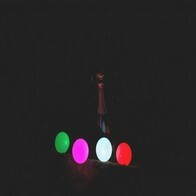 2: Solar Globe Lights (All White) – As above except these lights remain the one colour. 3: Solar Fountain – A practical way to add a water feature to your garden pond as you are not required to use mains wiring and it will not add to your energy bill. Works constantly in direct sunlight and it also includes replaceable backup batteries for when the weather is cloudy or to use after dark. 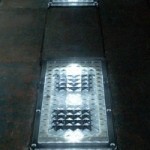 4: Solar Pavement Lights – Shaped in the size of a standard paving block and designed to be inserted in the ground and provide a wonderful lighting effect in your driveway after dark. Comes in a pack of 2 units. 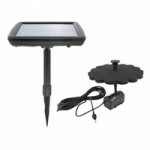 5: Solar Motion Security Light – A powerful 50W outdoor solar light with 16 Bulbs. When motion is detected the light will shine at full beam for 30 seconds. The beam range on the light is 10 square meters. Motion detection range is 6.5 meters. 6: Solar Hessian Ball Lights – These lights come on a 16 meter cable, are fully weather resistant and suitable for all year use. They come with a USB charge facility so can be charged through your laptop and thus will work effectively even through prolonged periods of bad weather. 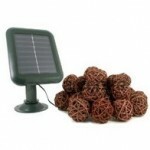 7: Solar Rattan Ball Lights – Weather resistant set of attrative lights which can be adjusted between constant on and flashing mode. Automatically switch on after dark and turn off at dawn. 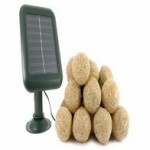 Will light for up to 10 hours when fully charged. 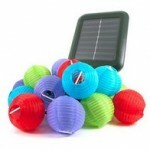 8: Solar Chinese Hanging Lanterns – Colourful set of lights Designed which automatically switch on after dark. 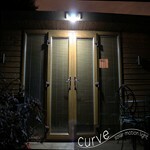 During the day the sun charges the strong lights internal battery which powers the lights automatically after dark. 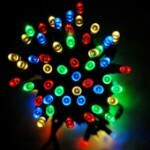 9: Solar Fairy Lights 100 LED – Available in all white, all blue and multi-colour options this outdoor fairy lights are just as bright as mains powered lights and can run constantly for up to 40 hours once fully charged.